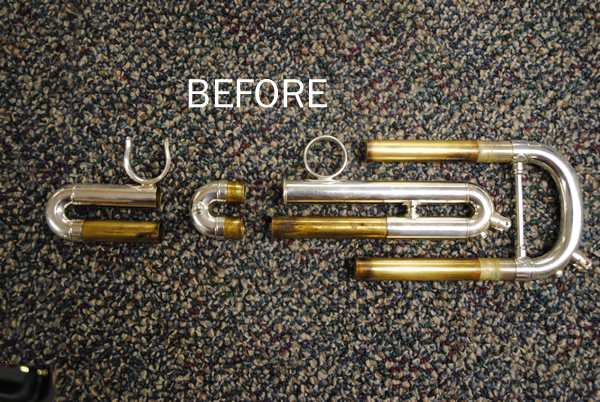 Ultrasonic cleaning is an innovative method of cleaning musical instruments using high frequency sound waves and a biodegradable, environmentally friendly cleaning solution. 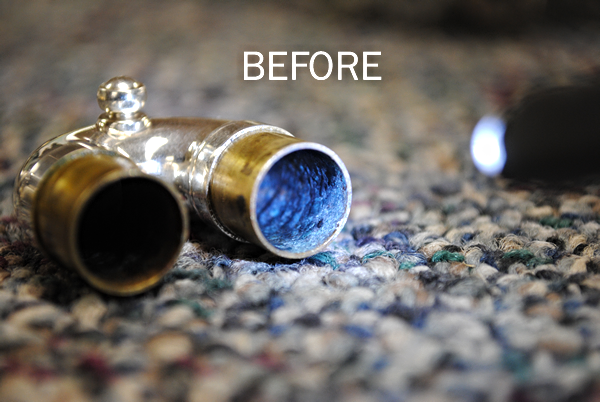 Transducers mounted in the tank create tiny bubbles which clean and scrub the entire instrument in a safer, more thorough manner than traditional mechanical or chemical cleaning methods. 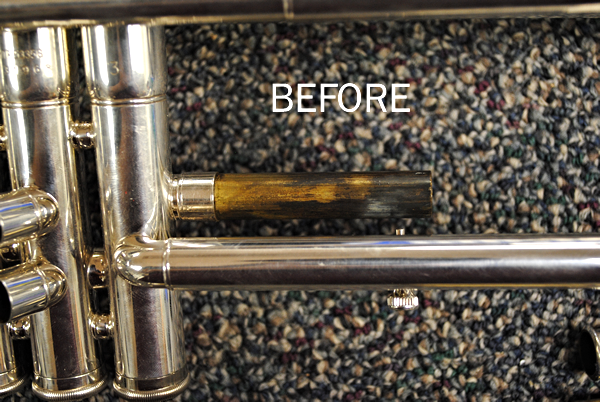 Carl's Pro Band was one of the FIRST shops in Central IL to offer this superior service (starting in 2007), so we are old pros when it comes to getting your instrument as clean as possible! 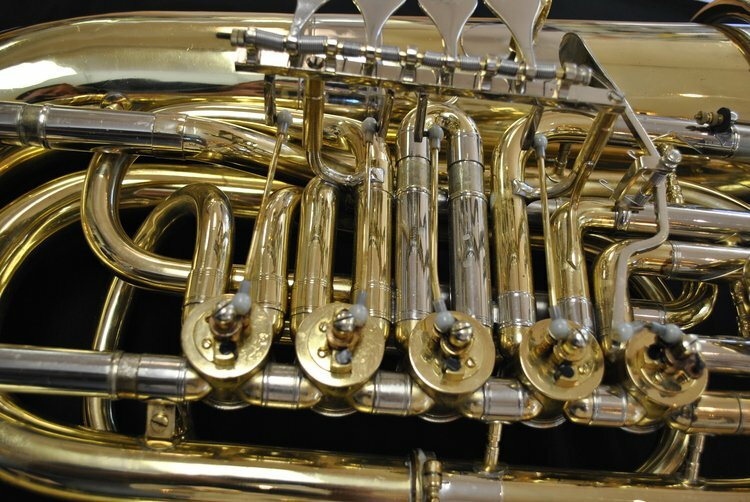 Carl's Pro Band is equipped with a 90 gallon Ultrasonic Cleaner which is large enough to clean full size tubas & sousaphones, but it's adjustable intensity allows us to clean very delicate parts with precision as well. 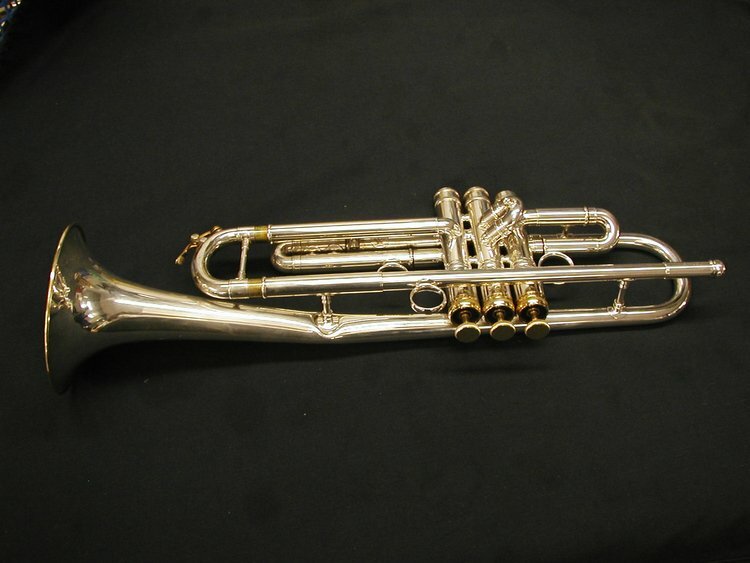 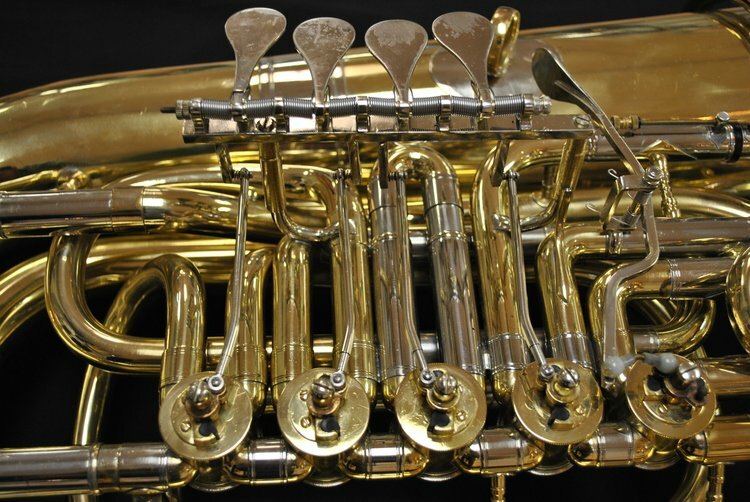 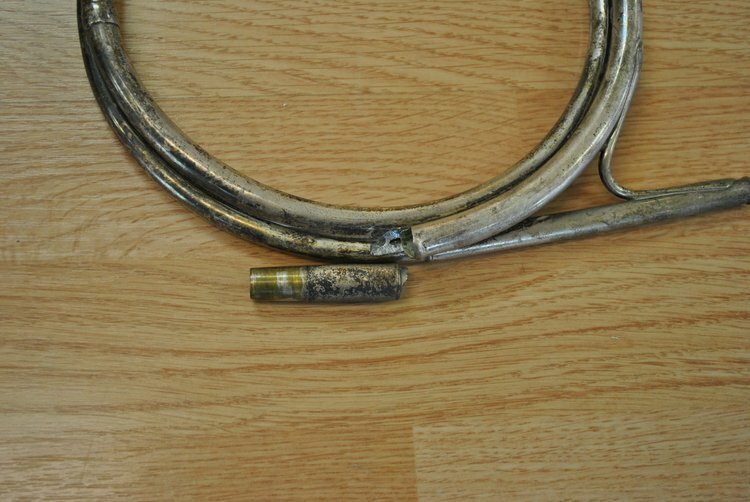 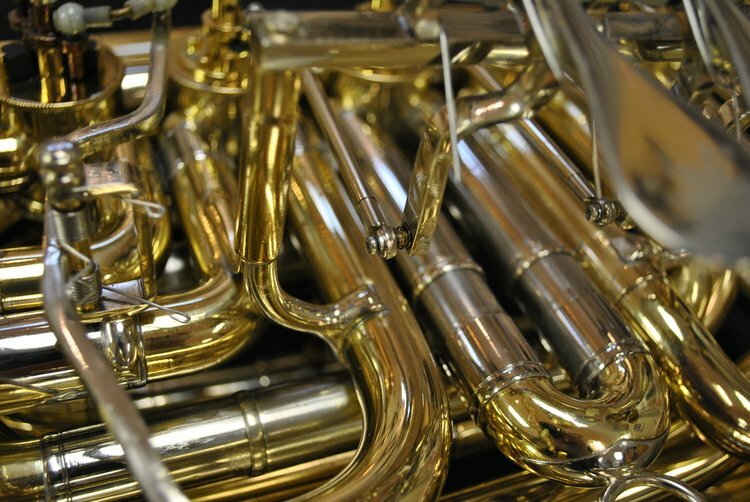 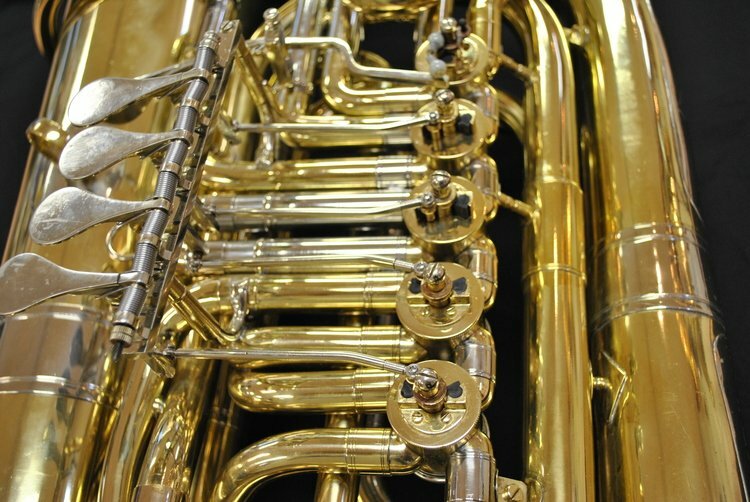 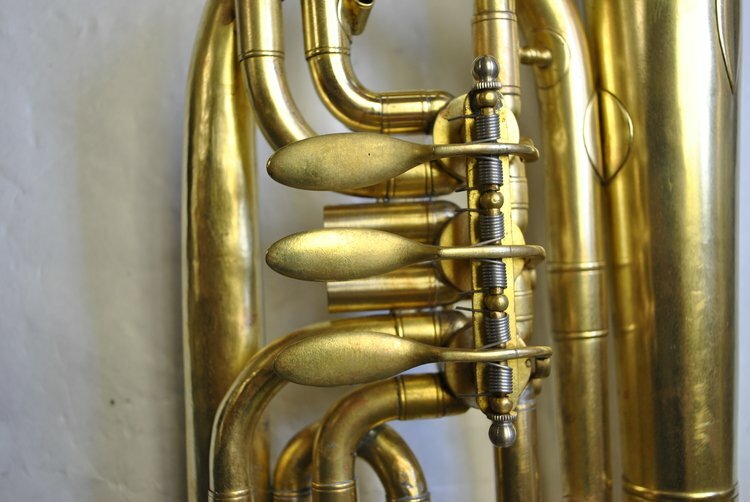 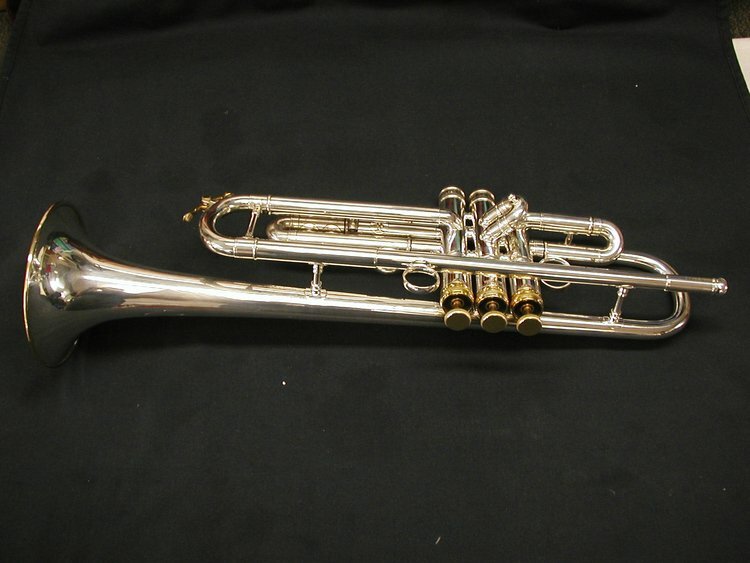 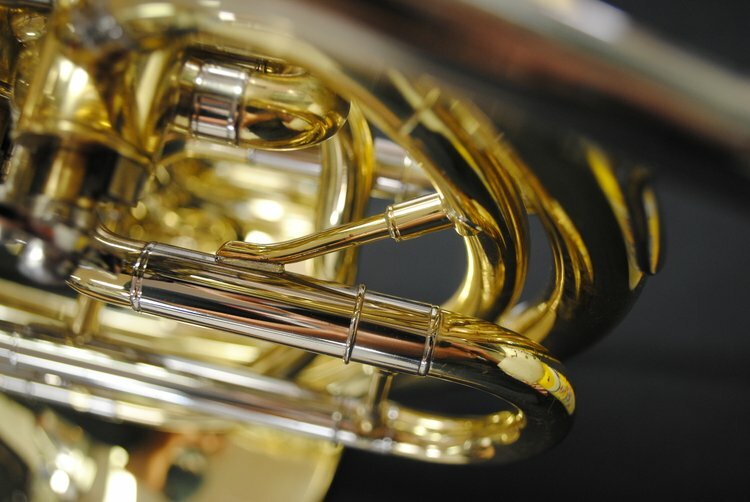 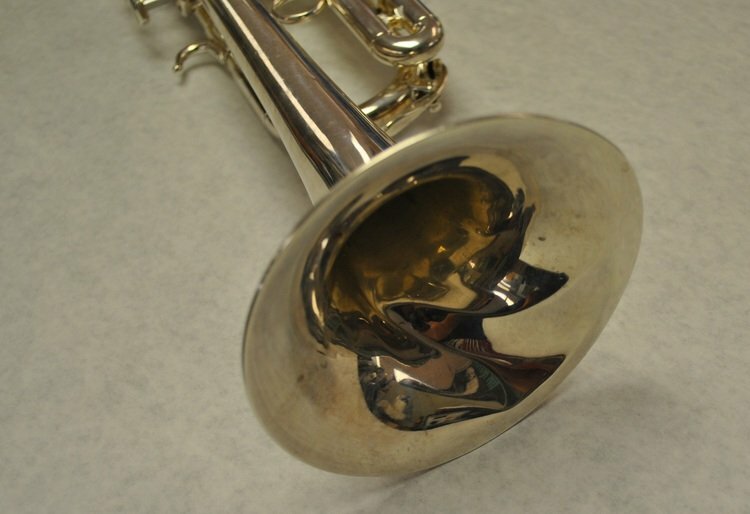 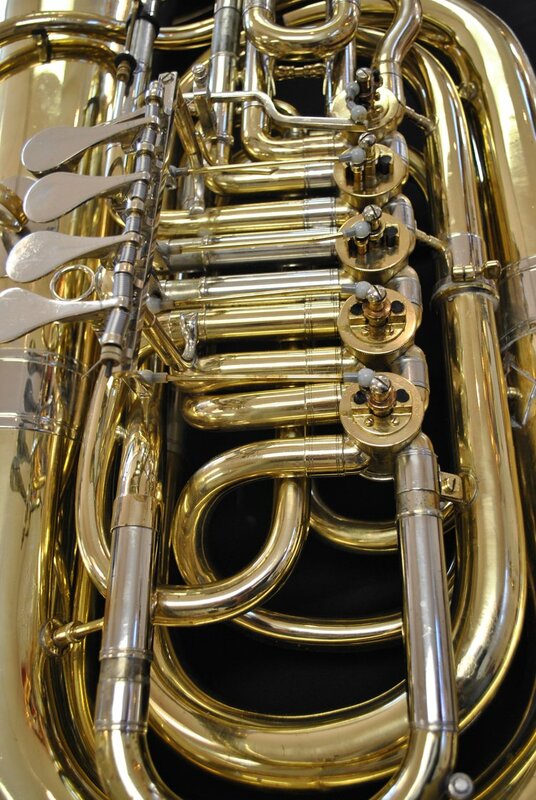 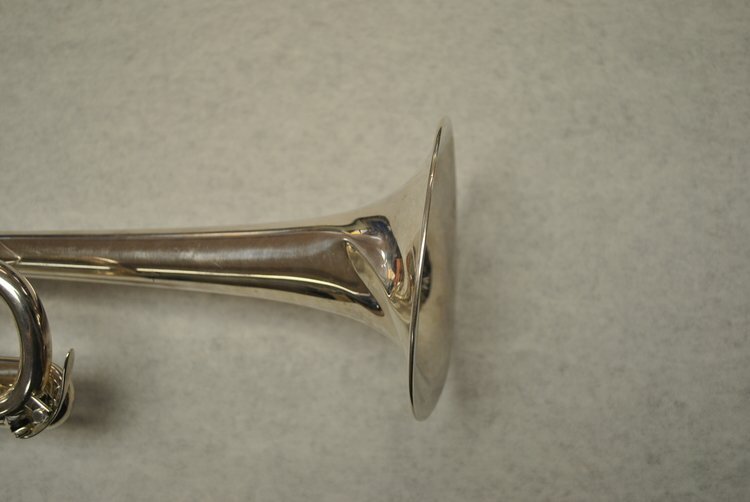 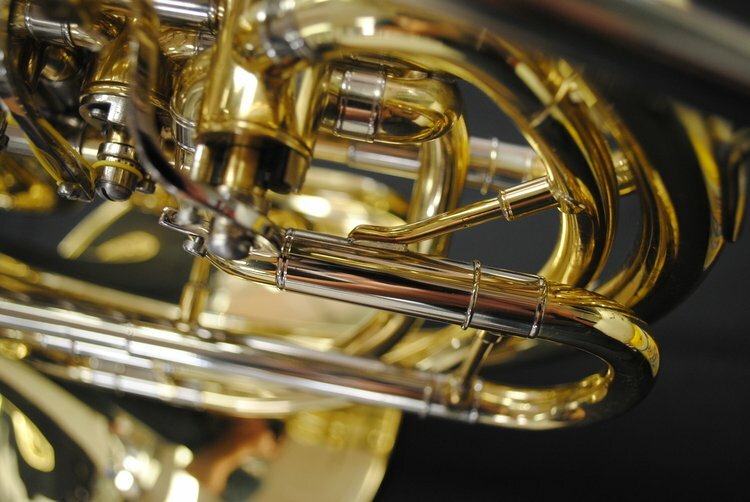 We recommend Ultrasonic Cleaning each year as a minimum service on brass instruments, however some instruments that endure heavier playing may need this service more frequently. 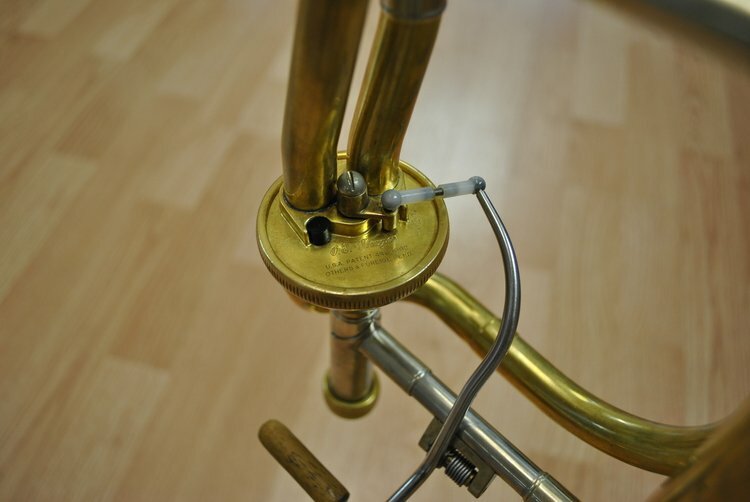 Air powered nylon brushes are then used to clean & polish the interior of the instrument and slide tubes. 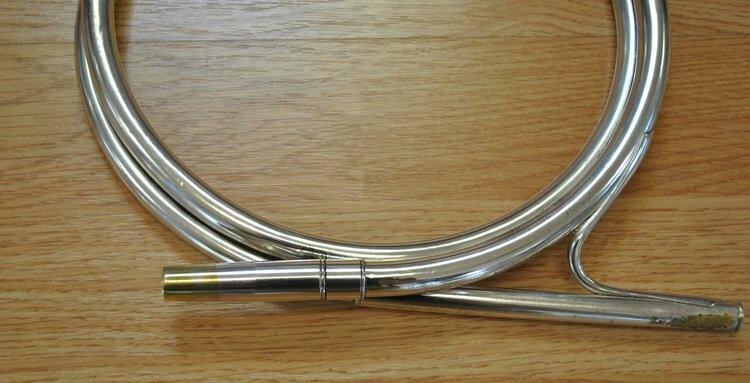 Flexible brushes are used to reach curved tubing. 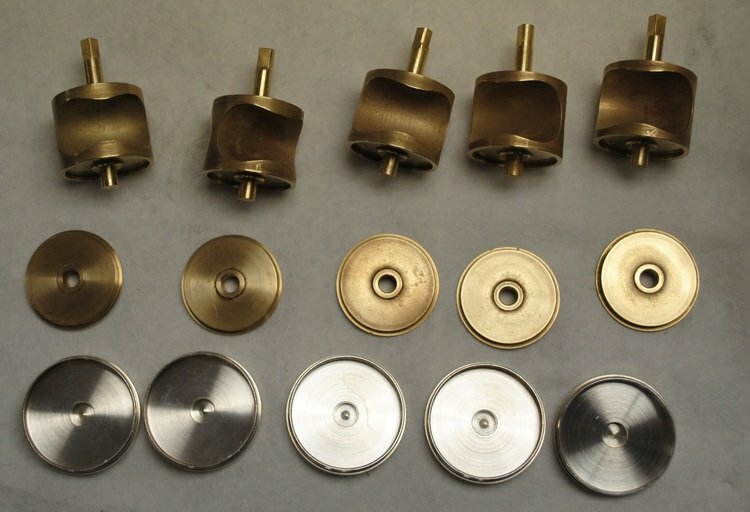 We stock a large variety of custom cut synthetic valve washers, which are standard on any professional brass Ultrasonic Cleaning in our shop. 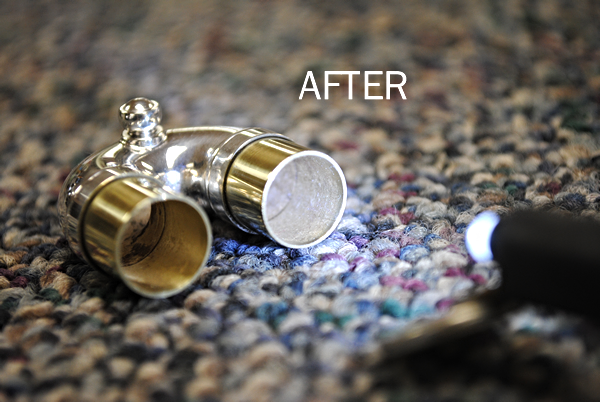 These synthetic washers are precision cut which gives you an exact thickness versus traditional felt washers that vary in thickness. 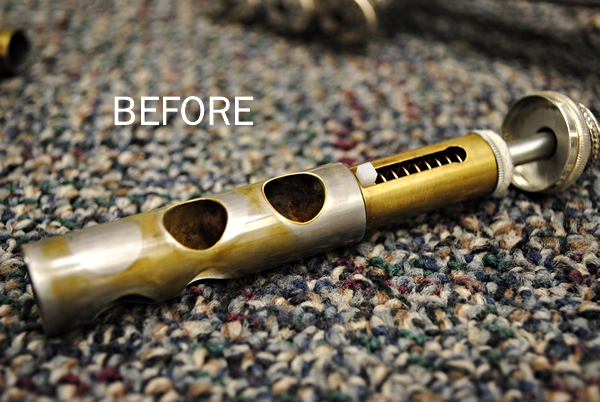 They also do not compress like a traditional felt or cork washer and are unaffected by oils. 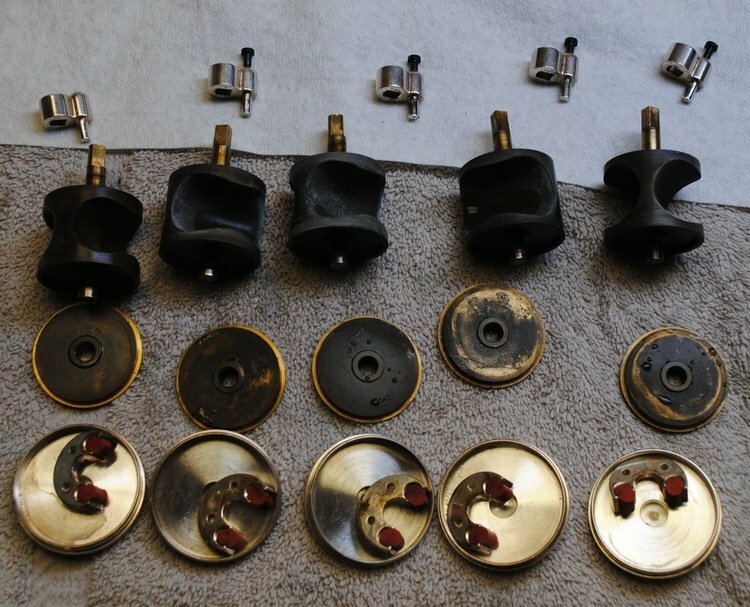 Another added benefit is the quietness of these washers. 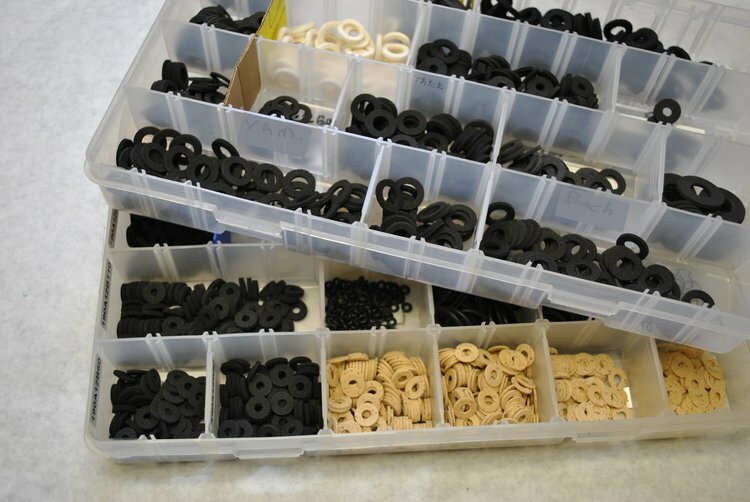 We stock the black synthetic washers in multiple diameters and thicknesses and also utilize synthetic "cork" washers for very detailed alignment (down to 1/64"). 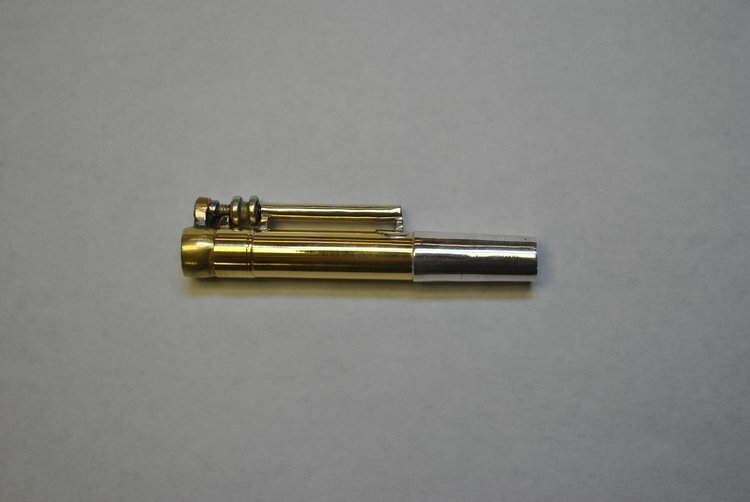 If you are looking for a precise valve alignment with a superior product, these are for you. 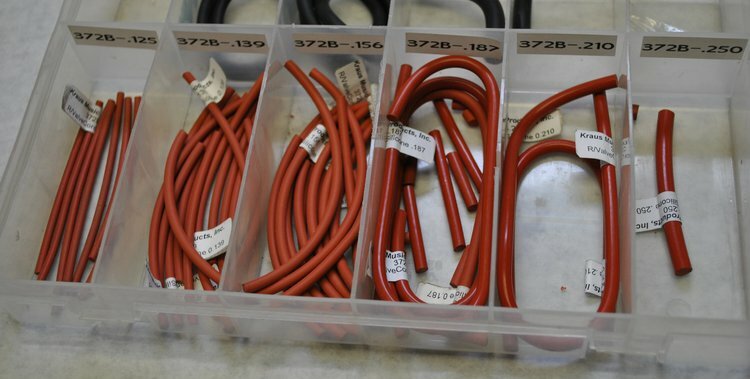 We fit rotor bumper plates with orange silicone rubber bumpers (or black rubber bumpers upon request), check the rotor alignment with a video borescope, and precisely trim bumpers to achieve an accurate alignment. 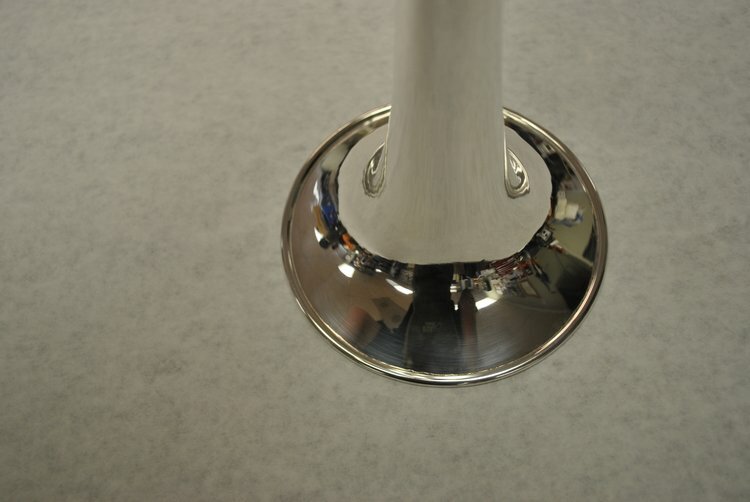 These are different than the translucent white silicone bumpers. 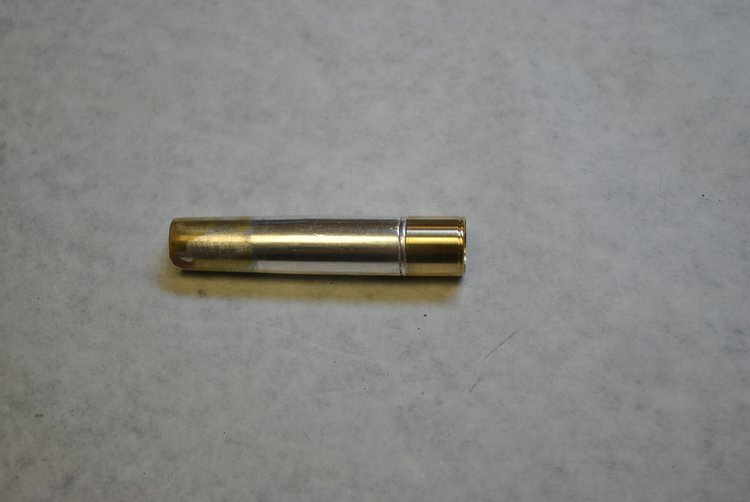 They are a bit more firm but still create a quieter and more responsive rotor action than traditional cork or neoprene. 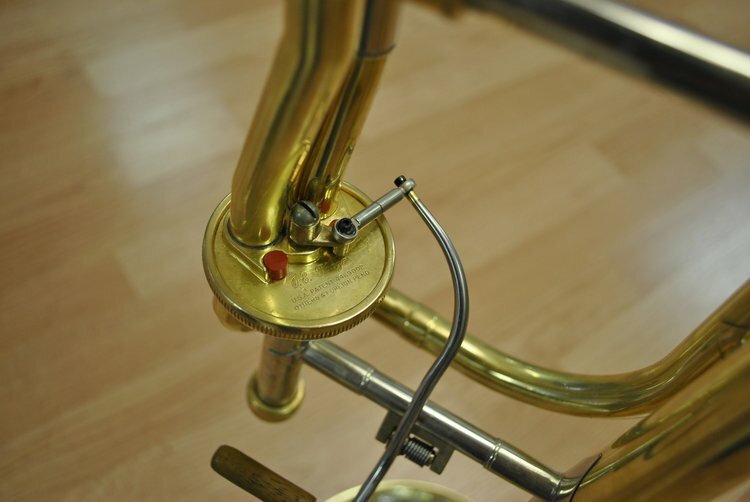 Black rubber bumpers are a bit firmer and we typically use them on larger rotor instruments to prevent any possible bounce in the rotor's return stroke. 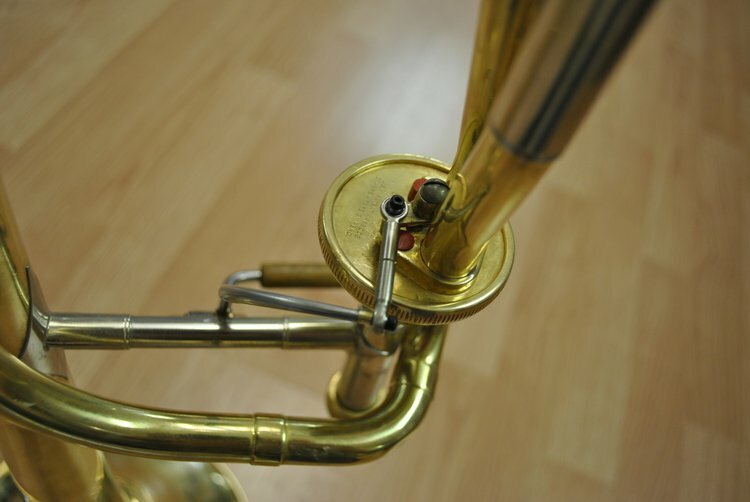 Valve ports are measured and the valves/rotors are fit with synthetic washers or silicone bumpers for the ultimate alignment, response, and quietness. 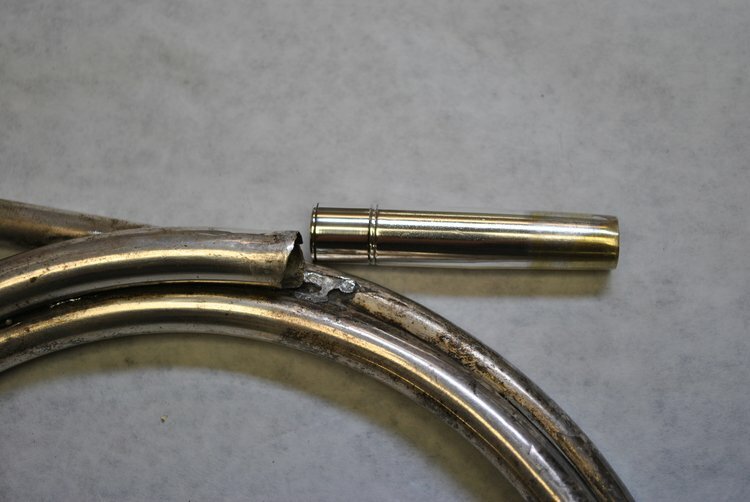 We then verify the alignment with a video borescope to ensure precise alignment and ultimate responsiveness. 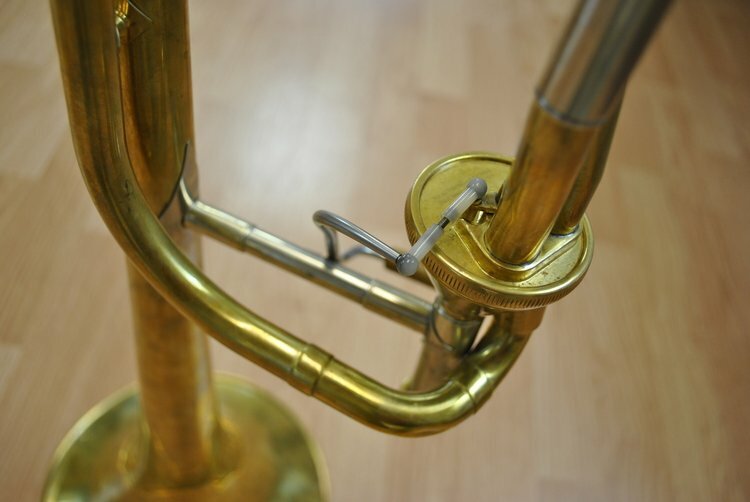 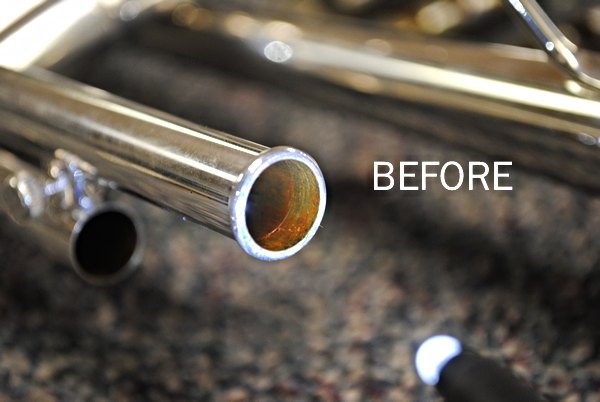 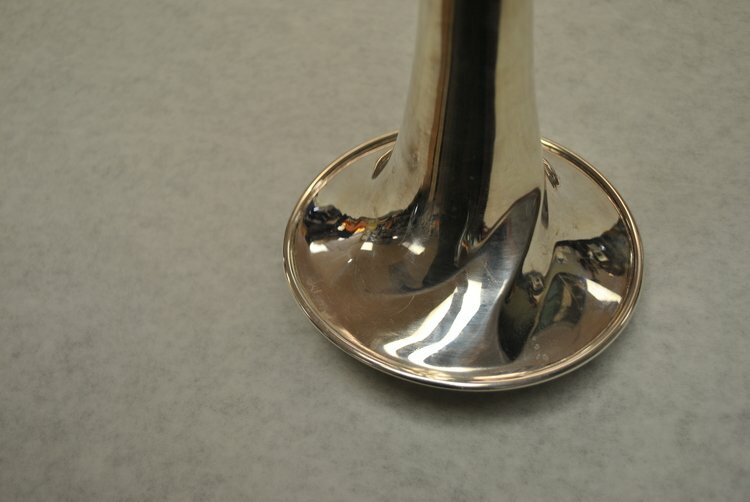 Dent removal is a necessary evil with brass instruments. 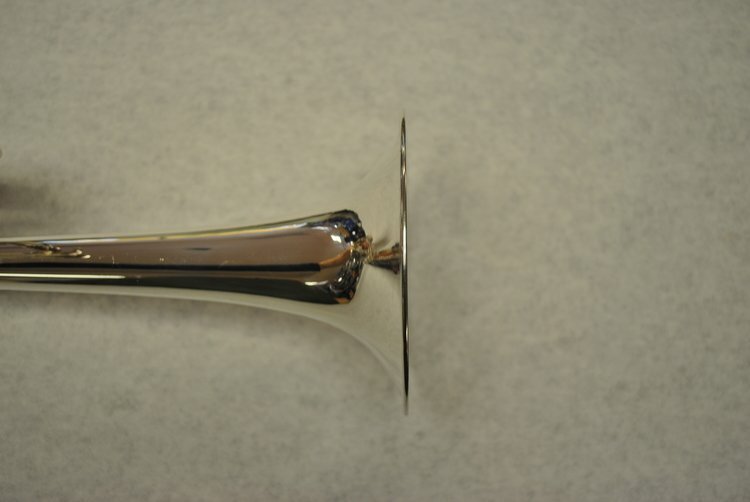 From small dings to major dent work & straightening, we are equipped with the tooling and experience to make them go away. 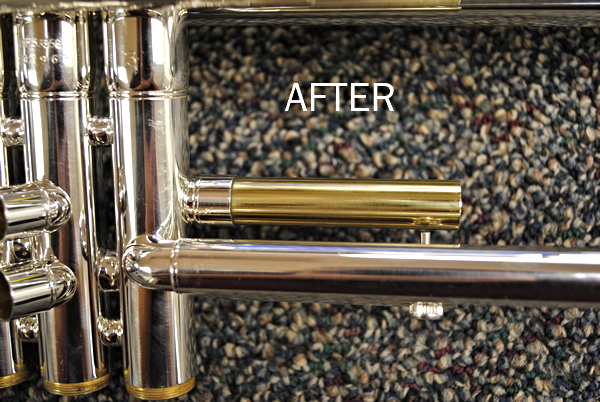 Feel free to drop by for a dent removal estimate and get your instrument looking like new again. 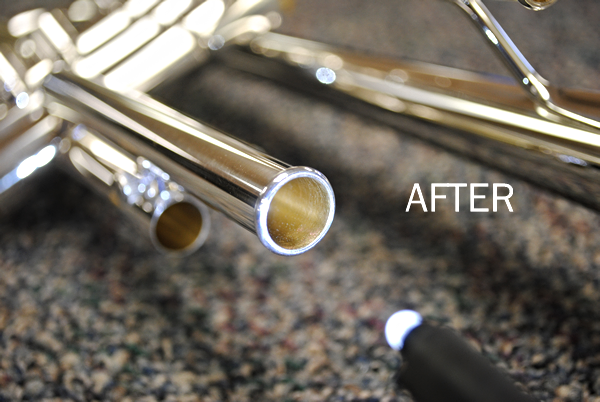 We can handle all of your trombone handslide needs, from cleaning and alignment to dent removal. 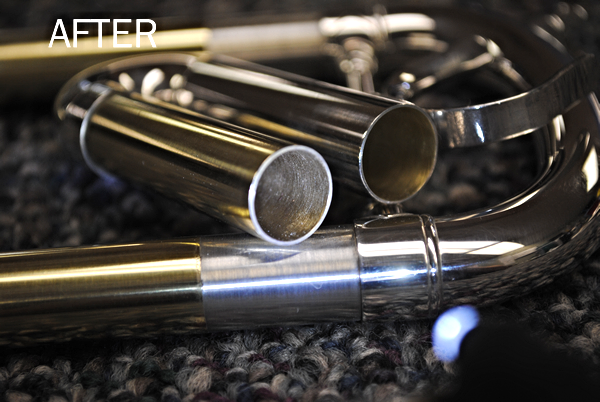 Rest assured that we are not finished until your handslide is operating as smoothly as mechanically possible. 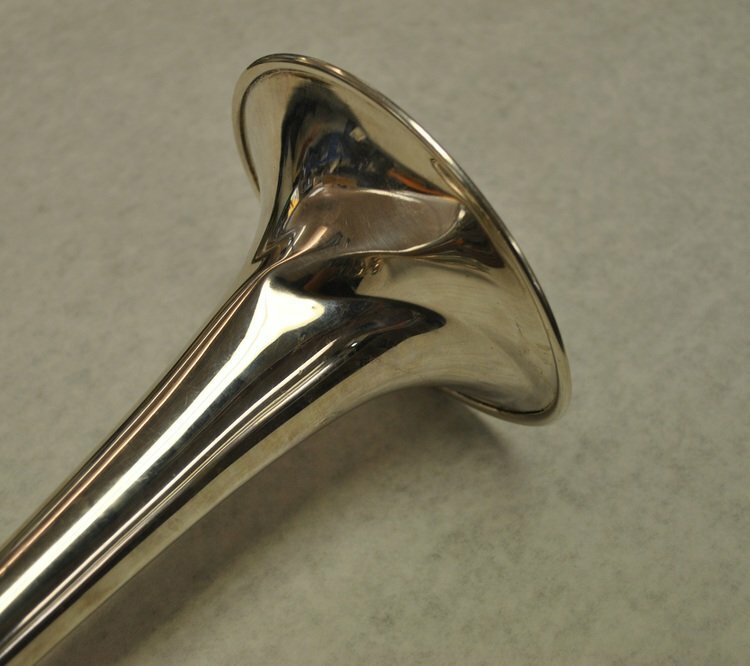 We have a large selection of trombone handslide mandrels, and specialized tooling to work on most every slide that comes through the door. 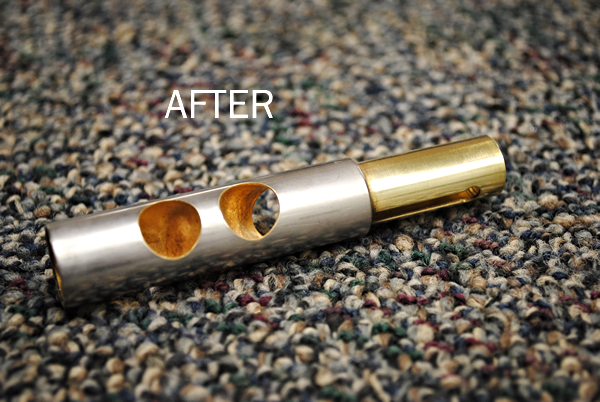 We take great pride in our soldering work, taking every step necessary to leave a strong, durable bond that is cosmetically pleasing. 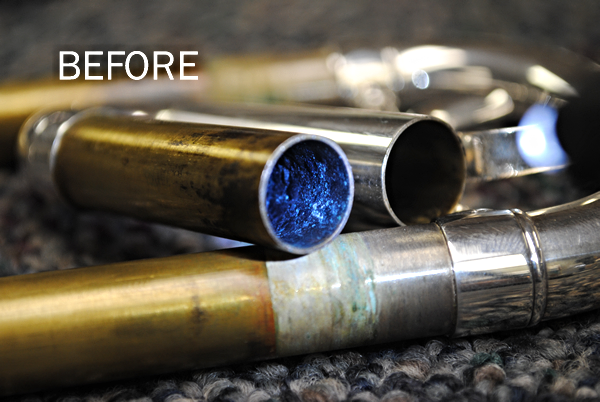 Carl's Pro Band uses lead-free solder which has a much higher tensile strength and is safer/healthier to work with. 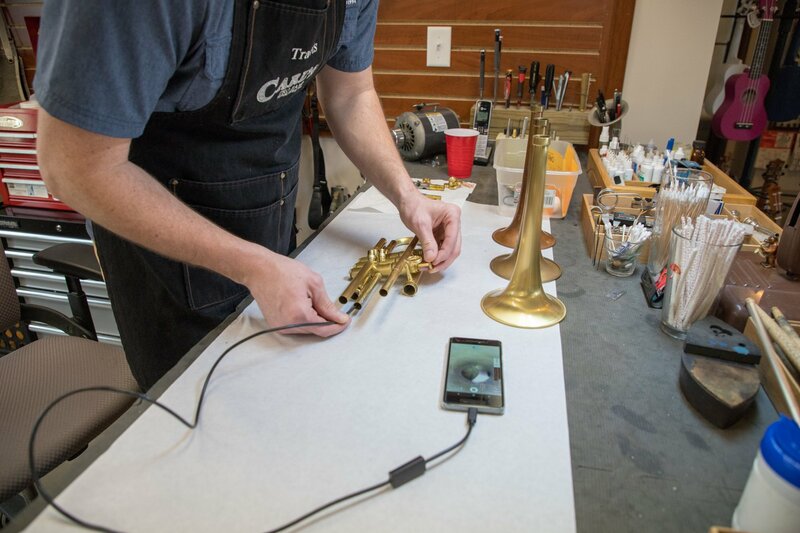 We will always do our very best to make our repairs unnoticeable, and make sure that parts fit correctly before soldering them, which will prevent any stress in the solder joint. 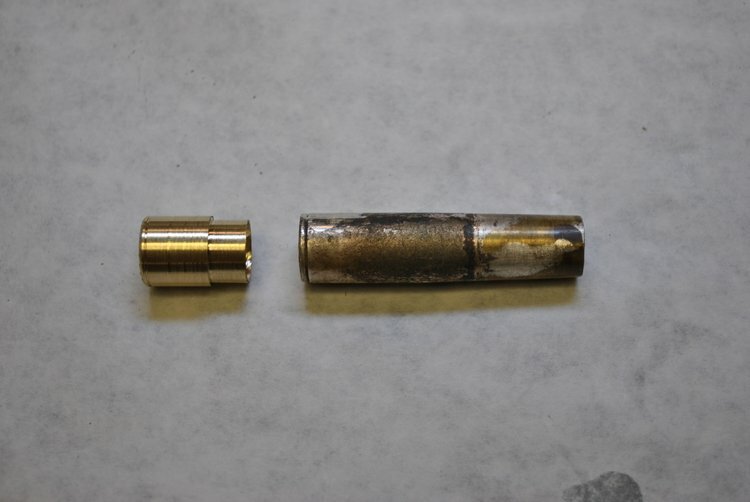 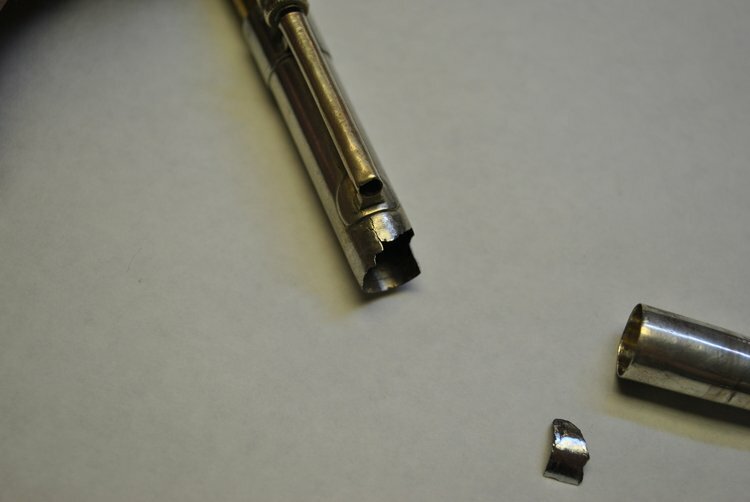 We can repair damaged or dented slide tubes and repair troublesome pistons, rotors, & casings. 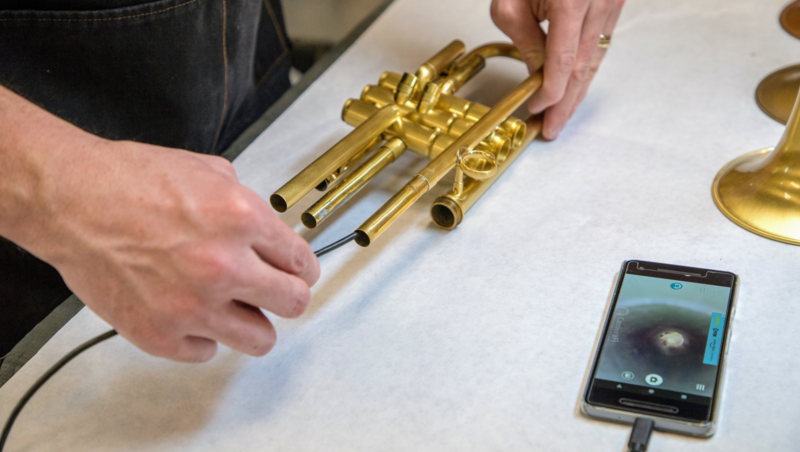 We will determine if the problem is the piston/rotor, casing, slide tube, or all of the above, and correct it using the utmost care to retain the original valve/slide tolerances. 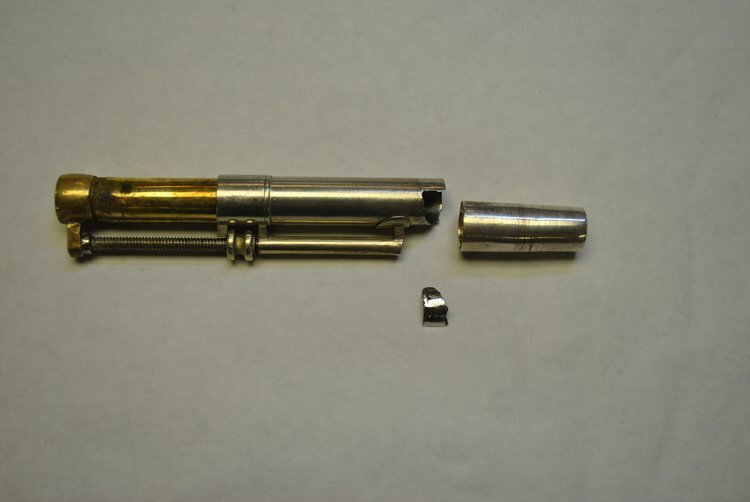 We are able to convert your old plastic ball joint or metal pin linkage to a modern metal Uniball Miniball ball joint. 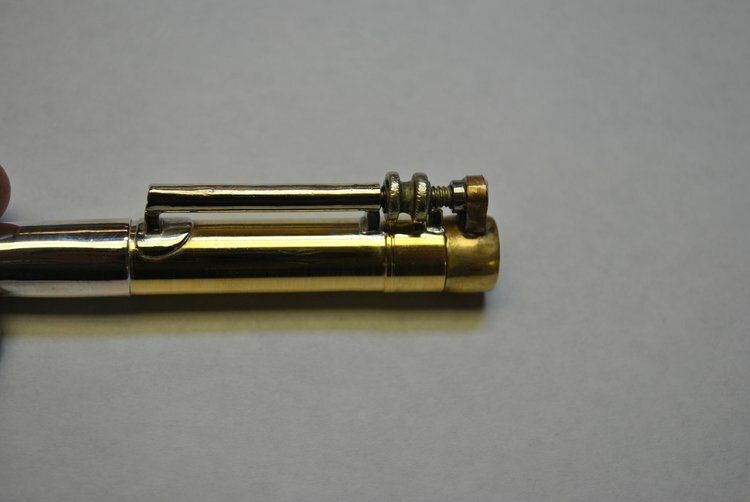 These new metal ball joints are a much quieter and more reliable mechanism. 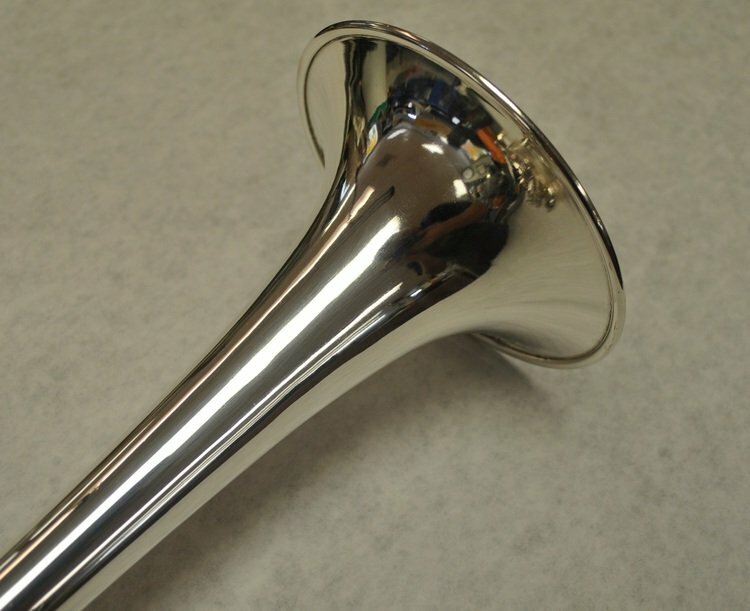 They will stay quiet with just a little oiling and will last most people a lifetime. 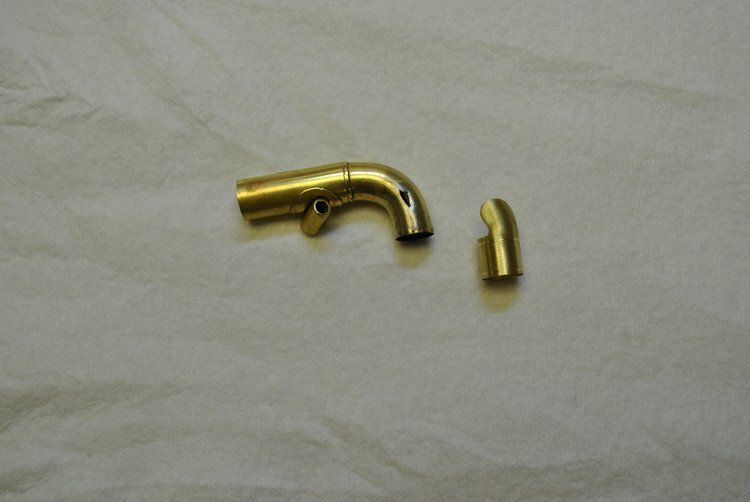 We are well equipped to fabricate custom and stock replacement parts. 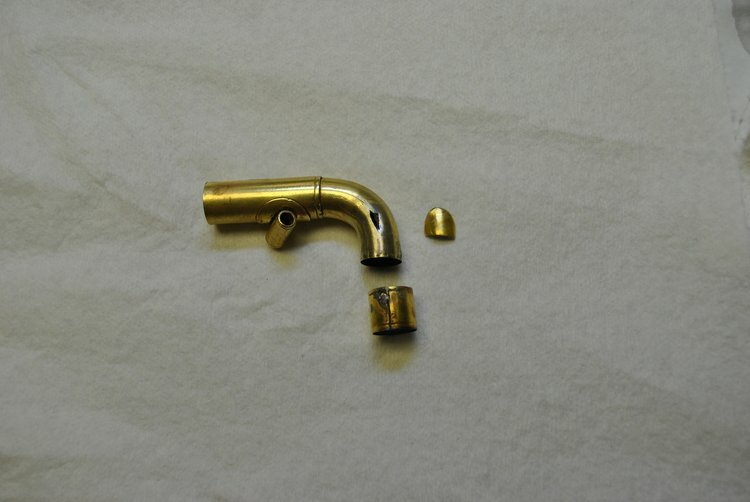 Many parts are obsolete or tough to locate. 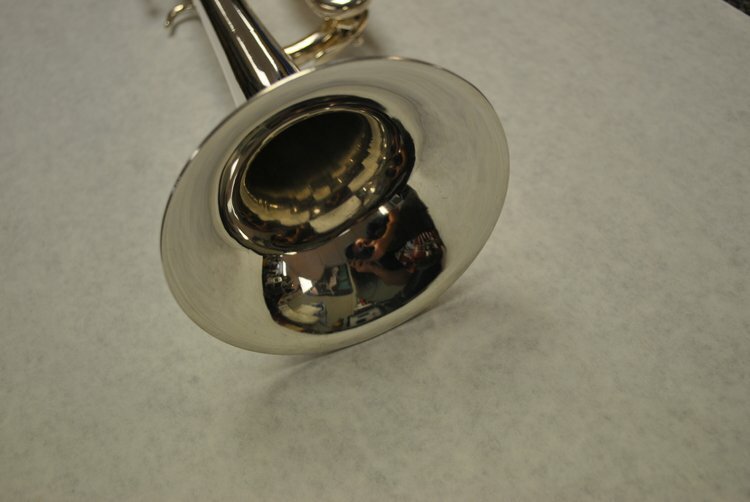 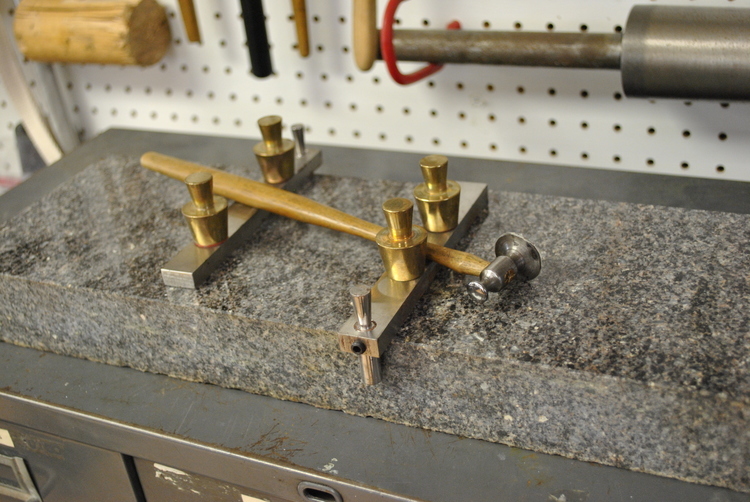 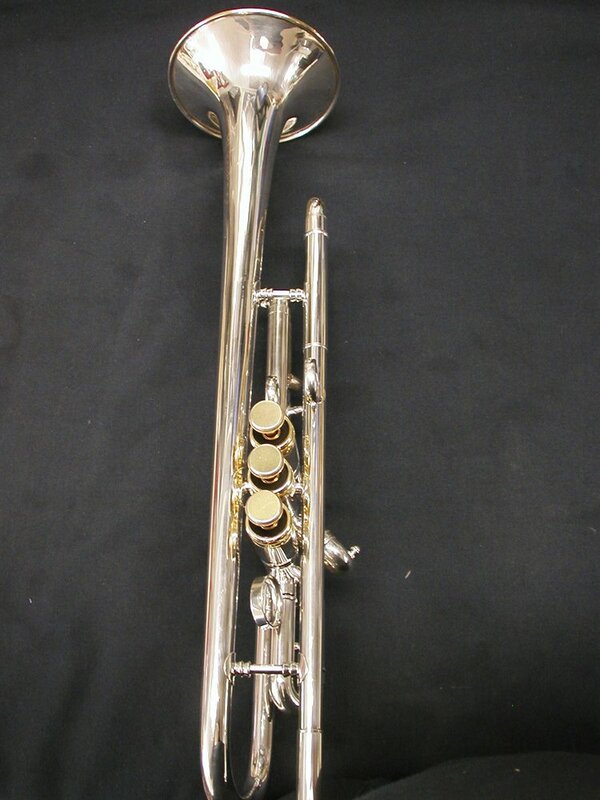 In these cases, we can fabricate a new part that will match the instrument. 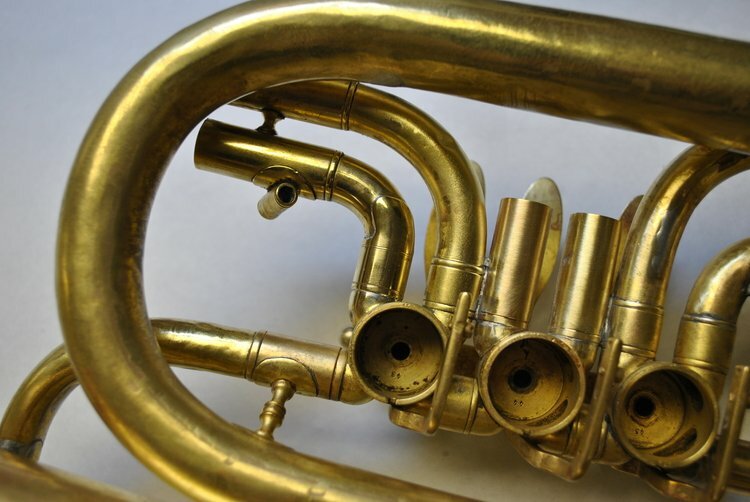 We have done repair on Civil War era band instruments since the 1990's and have developed strong relationships with the reenactment bands in our region. 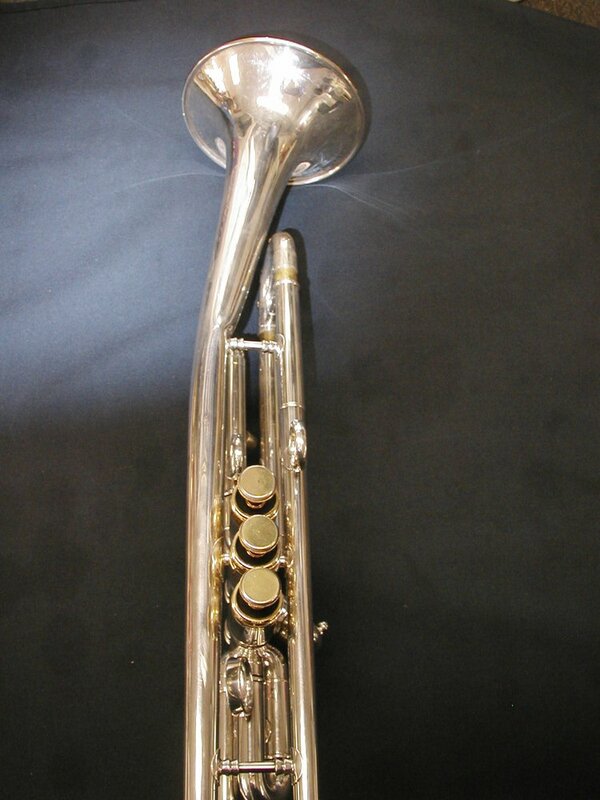 Civil War era instruments have special needs due to the age of the materials used on the instruments. 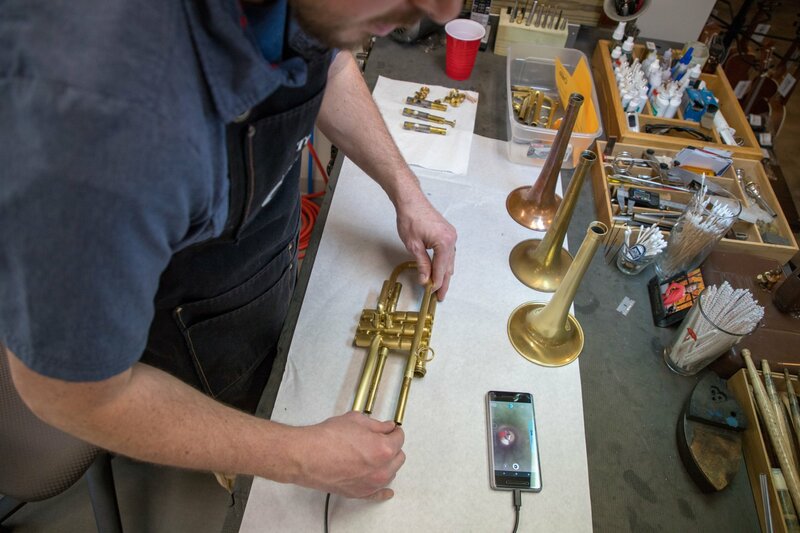 Much caution is taken to preserve the integrity of the instrument and we are able to find and repair leaks, cracks, or other issues with these historical instruments. 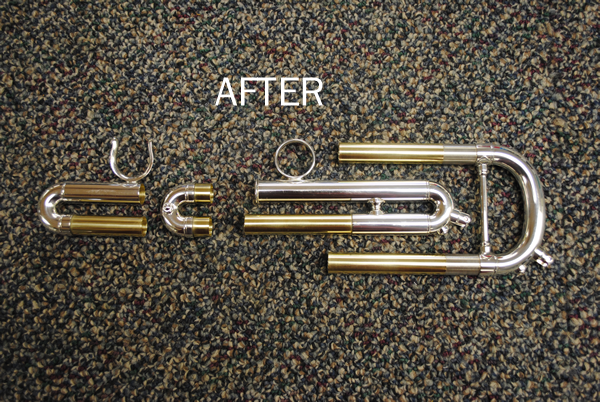 since it had been cleaned and adjusted as well as repaired. 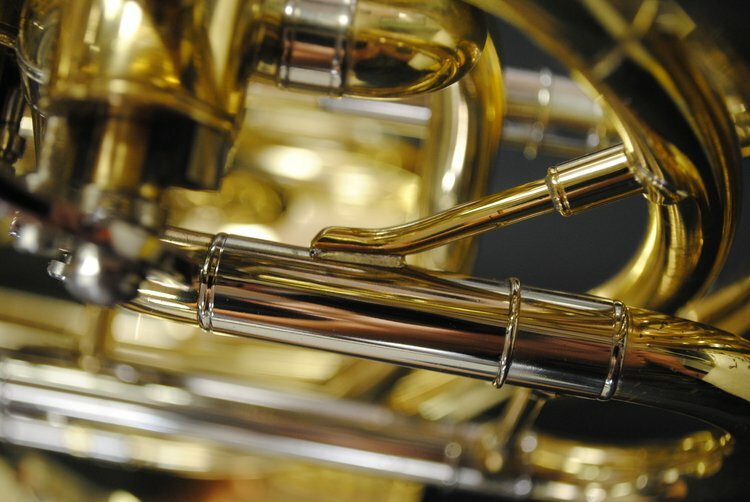 I would recommend them to anyone."